One of my favorite stories about Martin Luther King Jr. involves music. Or rather, comes back to an interaction between him and legendary gospel singer Mahalia Jackson during King’s “I Have a Dream” speech. It’s a story that I read about years ago in Craig Werner’s A Change is Gonna Come. Jackson, already a world-famous gospel singer who had performed at Carnegie Hall, President John F. Kennedy’s inaugural ball and throughout Europe, was also an active member of the civil rights movement. She traveled with King, singing before his speeches, and while at a church in Detroit—Rev. C.L. Franklin’s (father of Aretha and Erma) congregation—she heard King invoke the “dream” rhetoric. The revelation was electrifying when I first read it. I already owned several Mahalia Jackson records, so I was incredibly familiar with her influence on R&B, gospel and the civil rights movement. But until last year, this small, gentle nudge from Mahalia was just mythology. In August 2013, the organist at the March on Washington, Yolanda Clarke, came forward to say that she heard those famous words from Mahalia’s mouth. 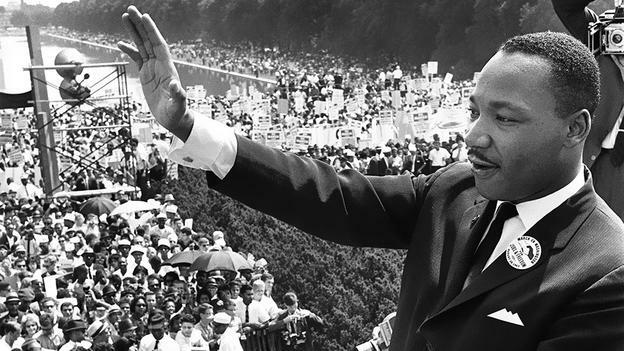 Pingback: "Glory" and Other Songs Inspired by Martin Luther King Jr.